The TRIUMPH two wheelers company is all set now to freeze the market with its new model motor bike named as Triumph Speed Triple. The Sporty bikes will surely attract a lot of eyes. 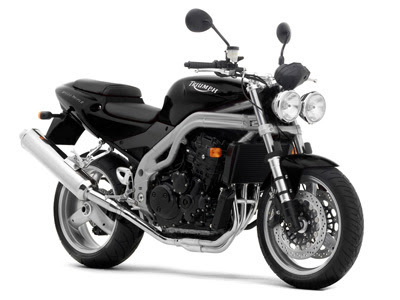 Those looking for a heavy, fast and reliable change can go for Triumph Triple Speed. The bike has been provided with a lot of features and eye catching looks. This motor bike is a true symbol of speed. It has the advanced technological features, what makes it a sensational one. The new Triumph Triple Speed is ready to hit the Indian roads. The bike lovers are curiously waiting to see the speed monster. This motor bike provides the maximum safety and real pleasure of riding. The company assures that the bike will suit the Indian roads and if this comes out to be true then Triumph may hit the market with a bang. 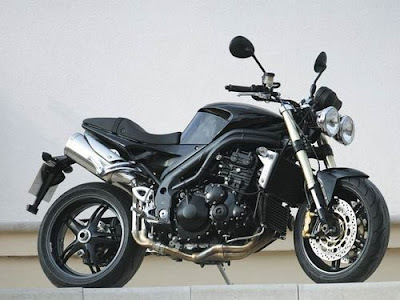 The Triumph Speed Triple has a very heavy engine of 1050cc. It is also heavier than the Triumph Speed Master. The engine is filled with 3 powerful cylinders and it contains 12 valves which make the engine safe and fast. The engine type is DOHC and the same technology is used in Mahindra Stallio, water cooled system for cooling with strong and stylist chassis. It has an electronic fuel injection of multipoint sequential. The transmission of bike is enabled with multi plate clutch and the six speed gear box which makes the ride fast and smooth. This motor bike is heavy and weights about 189 kg and the seat height is 32.1 inches. The dimension of this motor bike is 82.3 X 30.7 X49.2 inches. The fuel tank of Triumph Speed Triple has a capacity of 18 litres. The wheels of this motor bike are made so as to provide a firm grip to the road. The dimension of wheel base is 1429mm. there is no need to remember with triumph speed triple, if there is fuel in tank or not because the bike has been provided with low fuel indicator. The speedometer is also digital type and an analogue tachometer is provided for speed. The fuel gauge is also digital type. You can fling triumph speed triple with self start. The engine provides the maximum power of 130hp at the rate of 9100 rpm and also delivers maximum torque of 105 Nm at the rate of 5100 rpm. The aluminium alloy is used for engine block material. The company is thinking to launch this bike with three colours i.e. in jet black, neon blue and scorched yellow.